It is so easy to turn something common into something unique different. Take the amazingly versatile tomato. its uses for breakfast lunch and dinner are endless. Growing up we would eat bright red tomato slices at the prime of summer covered with brown sugar. They were just delicious, a true PA Dutch side to a meal. Today I picked my heirloom tomatoes trying to rescue them before the birds or chipmunks stole them all, and a handful of small yellow pear tomatoes, both sweet and flavorful. With a sprinkle of Applewood smoked sea salt and a drizzle of olive oil these were ready to go. What a perfect side to a savory eggs florentine. Easy peezy and ohh so good. 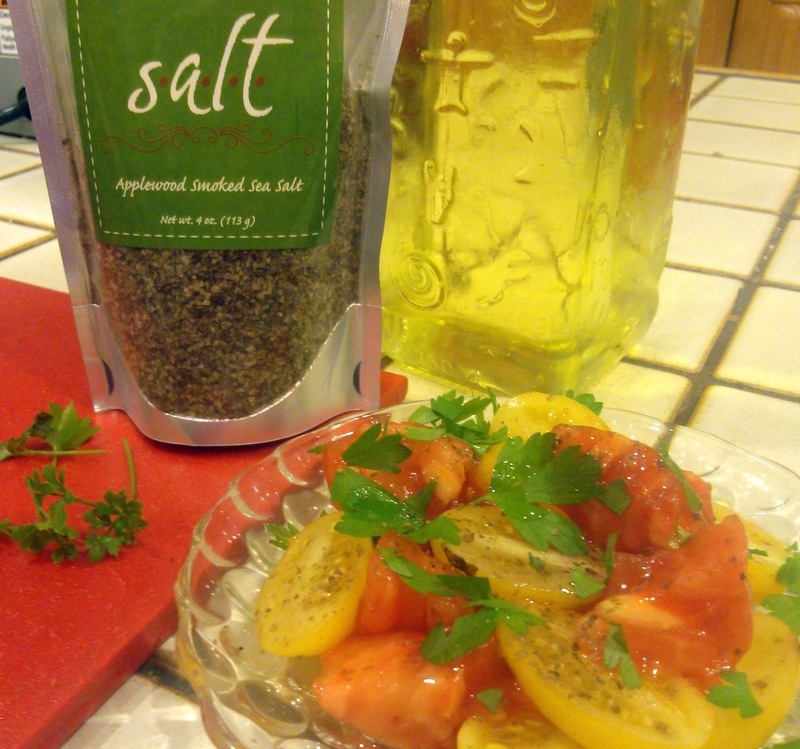 * I used the salt from S.A.L.T Sisters, purchased at a local specialty store. This entry was posted in Soups Salads and Appetizers, Swiss Woods Bed and Breakfast, Vegetables and Potatoes by admin. Bookmark the permalink.